The J.M. 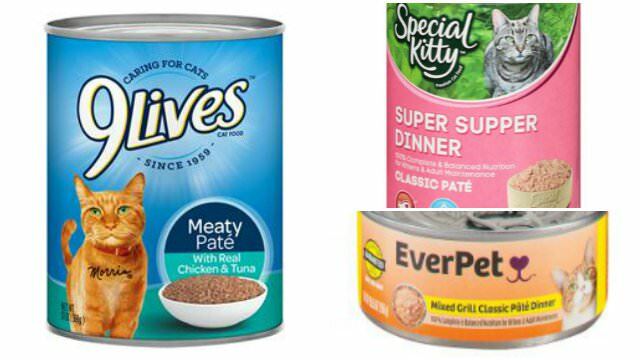 Smucker Company has announced a voluntary recall of some of their 9 Lives, EverPet and Special Kitty canned food products due to the possibility that certain batches may contain lower than recommended levels of thiamine (vitamin B1). The issue was discovered during a quality assurance review at the manufacturing facility. As of yet, no cats have been reported ill and the recall is being conducted as a precaution. 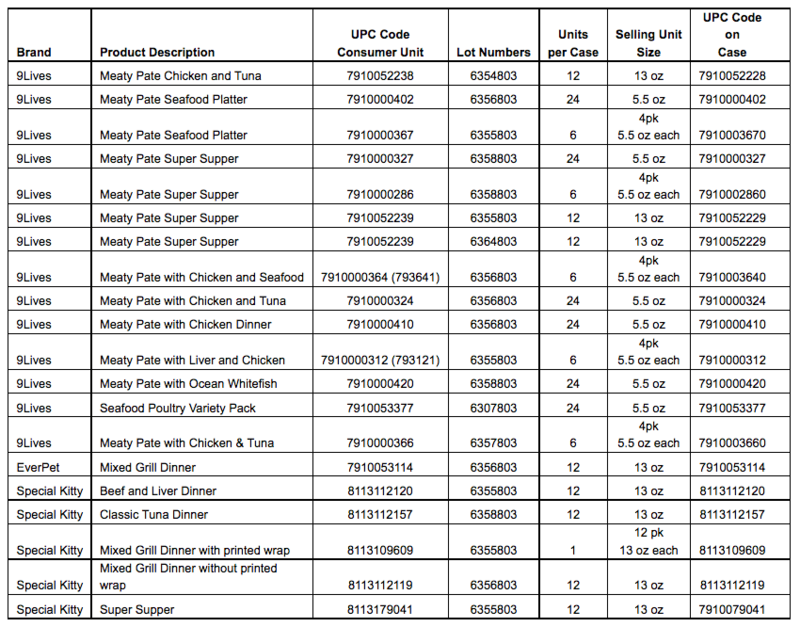 Only products on the following list that were shipped to stores between December 20 and January 3 are affected by the voluntary recall. A low thiamine diet can cause weight loss, poor appetite, salivation and vomiting after being fed for several weeks. In extreme cases of thiamine deficiency, neurological issues like seizures and “wobbly walking” may occur. If you suspect that your cat may be displaying the symptoms of a thiamine deficiency, contact your veterinarian immediately. If you have any of the affected products call 1-800-828-9980 from 9 a.m. to 6 p.m. ET Monday through Friday or email consumer.relations@jmsmucker.com. And, of course, discontinue feeding the food to your cat.